As I start my term as President of the association, I would like to extend my thanks to the many CAP members, supporters, and partners who help to ensure the success and continued viability of our national physics association. The CAP is committed to representing the Canadian physics community through our many initiatives/activities aimed at securing support for research, training and education. The CAP office is hard at work on the implementation of a new member/customer service system which is planned to be launched this year. This new system will ensure a smoother, easier membership application and renewal process, including the ability for members to join or renew their membership as part of their Congress registration. 2018 marks the final year of implementation of our 2014-18 Strategic Plan. The CAP Board of Directors met in late April with representatives from the greater physics community to start the development of our next five-year Strategic Plan. Feedback from our institutional members, the CAP Foundation, high school teachers and undergraduate and graduate students played an important role in informing our planning process. The Board thanks everyone who participated and to those CAP members who reached out to provide input over the past few months. Your feedback has helped make this process a success and will continue to guide our work as we finalize the details of our 2019-2023 Strategic Plan. The need to achieve organization and operational excellence to provide services in an effective, efficient and transparent manner. The Board will be addressing these themes by updating our Vision, Mission and Values and refreshing the CAP’s goals. For the first time, we will be explicitly including Equity, Diversity and Inclusion as a core value of the CAP to ensure it is embedded into all organizational practices. We have also completed a comprehensive SWOT analysis which revealed opportunities for the CAP to increase our public policy presence, engage with our membership both inside and outside of academia and improve our communications infrastructure. The Board is looking forward to working with our partners and our members in the preparation of the final version of the Strategic Plan and sharing it with the community as soon as it is available. The 2018 CAP Congress was held June 11 – June 15, 2018 at Dalhousie University in Halifax, Nova Scotia. We were pleased to welcome the 508 delegates who attended to learn about the latest physics research, network and celebrate the achievements of others. One of the main attractions this year was the Herzberg Memorial Public Lecture where renowned physicist Nergis Mavalvala presented her keynote address “The Warped Universe: The One Hundred Year Quest to Discover Einstein’s Gravitational Waves”. The 2019 Congress will be held from June 3 – June 7 at Simon Fraser University in Burnaby, BC. The chair of the Local Organizing Committee is Barbara Frisken. The Program Chair is Shohini Ghose, CAP Vice-President (sghose@wlu.ca). Members who have suggestions for plenary speakers, special sessions, or who have recommendations to help improve the 2019 Congress are invited to share their ideas with Dr. Ghose. Applications to attend the 2019 CCUWiP are being accepted from August 27 to September 29, 2018. This professional conference aims to create an environment where all participants can network, present research, and explore career paths, while also promoting diversity and discussing women in physics, mental health, and LGBTQ+ issues. The conference is open to any undergraduate physics student in Canada. You do not need to be making a presentation or presenting a poster to attend. Click here to apply, or go to https://ccuwip.cap.ca for more information. 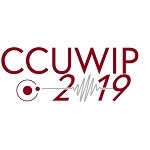 Interested in hosting the 2020 CCUWiP? Expressions of interest are being invited (deadline September 15, 2018). Click here for more information. All international scientists in mathematics, computing, and natural sciences are invited to complete the 2018 Global Survey. The survey is part of an interdisciplinary collaboration of eleven partners, supported by the International Council for Science (ICSU), which aims to better understand the problems mathematical, computing, and natural science academics and practitioners are facing around the world. Who should answer? The survey is open to people in mathematical, computing and natural sciences at all levels, including students, to share their career and education experiences. Why should you answer? The project is collecting data to develop a broader picture of the status of mathematicians and scientists across the world. 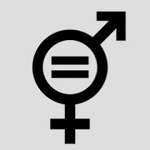 The results of this survey will provide data about the situation of scientists and mathematicians worldwide, as well as focused information about women in these fields. The data that you contribute will help inform interventions by ICSU and member unions to increase participation, especially for women. Are my data confidential? Yes. All individual responses are kept confidential. All questions are optional (with the exception of Question 1). Staff members at the Statistical Research Center of American Institute of Physics (AIP), who have already conducted three global surveys of physicists, collaborated with the project partners to develop the questionnaire. Click here to see previous results. The survey is hosted on AIP’s secure server and data will be stored and analyzed according to AIP policy and following US law for the protection of human subjects. The survey is available in 7 different languages including English, French, Chinese, Japanese, Russian, Spanish, and Arabic. It takes about 20-30 minutes and contains a save and return feature. 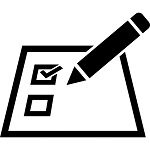 The survey will be open for submissions until October 31, 2018. The Canadian Society for Mechanical Engineering (CSME) has invited Chairs of physics departments to nominate a theoretical or applied mechanics scientist for the Canadian National Committee for Mechanics (CNC). The CNC is entrusted with the promotion of mechanics research in Canada and with the provision of Canadian representation at the International Union of Theoretical and Applied Mechanics (IUTAM). Deadline: September 21, 2018. For more information, please contact Guy Gosselin, Executive Director, Engineering Institute of Canada and Canadian Society for Mechanical Engineering by phone at 613-796-4750 or by e-mail at ggosselin.eic@gmail.com. The Division of Atomic, Molecular and Optical Physics, Canada (DAMOPC) has been very busy with the preparation of the 2018 CAP congress at Dalhousie University. DAMOPC has organized 12 sessions at the congress, of which 6 sessions are jointly held with the Division of Condensed Matter and Material Physics, and one session is jointly held with each the Division of Theoretical Physics and the Division of Physics Education. 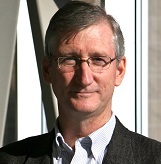 Furthermore, the Division of Nuclear Physics (DNP) has organized one joint session with DAMOPC, and we were excited that DNP has invited Dr. Eric Cornell as plenary speaker. The DAMOPC sessions at the congress were well attended and had many talks about cutting edge research. DAMOPC has also helped to promote the International Day of Light (http://www.lightday.org), which was celebrated for the first time on May 16, 2018. This international effort to promote the important role of light in science and culture features 10 events across Canada and is a great opportunity to highlight the contribution DAMOPC members and their research are making. As of May 2018, DAMOPC has 313 members. 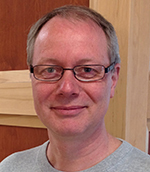 The current DAMOPC executive consists of Peter Marzlin (St. Francis Xavier U.) as Chair, Adriana Predoi-Cross (U. of Lethbridge) as Vice Chair, Gautam Das (Lakehead U.) as Treasurer, and Paul Barclay (U. of Calgary) as Past Chair. There is still time for your charitable donation to the CAP Foundation to be part of the Ignite the Spark matching donation campaign sponsored by the Carswell Family Foundation. Your contributions support the CAP’s ongoing education-related activities (such as the Lecture Tour, Canada-Wide Science Fair, CUPC/CCUWiP) as well as newer initiatives aimed at encouraging youth to consider pursuing a physics degree (Spot the Physicist posters, Hidden Physicists videos). 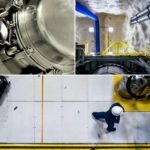 The top images from the 2018 SNOLAB Photowalk that went on to the global competition. Top left photo by Jessica McShane, top right photo by Aric Guité, bottom photo by Rebecca Bose. All photos courtesy of SNOLAB. This past June, SNOLAB joined 17 major science facilities around the world to take part in the Global Physics Photowalk. 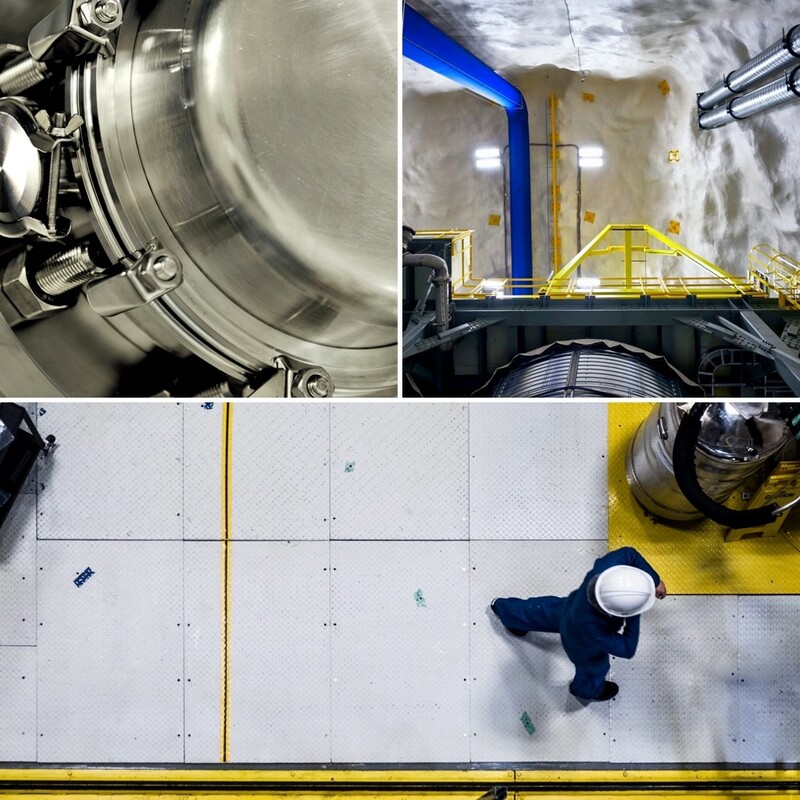 Seventeen amateur and professional photographers were selected to travel deep underground and explore SNOLAB capturing images of the lab’s science and infrastructure through their own lens. Each photographer submitted their 5 favourite photos. A local jury selected 3 images to send to the global competition along with one from each photographer to be included in a local exhibit. Public voting for the Global Physics Photowalk is now open and the top submissions from each participating lab can be viewed here: https://www.interactions.org/photowalk. Voting closes on Sunday September 16, 2018 and winners will be announced on October 01, 2018. Visit @SNOLABscience on Facebook to view all 85 images submitted to the SNOLAB Photowalk and follow #PhysPics18 on social media channels to stay up-to-date on the Global Physics Photowalk. The Stewart Blusson Quantum Matter Institute at the University of British Columbia (https://qmi.ubc.ca/) is offering multi-year summer research scholarships to women and other under-represented group students of the physical sciences and engineering. We encourage women, indigenous peoples, and those from visible minority/racialized groups to apply. To find out more about the program, please send an email to: quantumpathways@sbqmi.ubc.ca. A new conference for graduate students and postdoctoral fellows in quantum science aims to foster collaboration and provide a glimpse into the exciting research taking place in Canada.Hosted jointly by the three Canada First Excellence Research Fund (CFREF) programs— the Stewart Blusson Quantum Matter Institute (SBQMI), Institut Quantique (IQ), and Transformative Quantum Technologies (TQT)— the Canadian Graduate Quantum Conference , the first conference ran from June 20-22, 2018 at the University of British Columbia (UBC) in Vancouver. In addition to poster sessions, lab tours and networking sessions, the conference also included an industry panel with speakers from Mitacs, D-Wave, 1QBit, and Lumerical Inc.
Organizers hope the success of the inaugural conference will lead to it becoming an annual event.